Memories are what connect us. Think about it. What if you didn’t have a memory of the people you loved? Or the people who loved you didn’t have a memory of you? What kind of relationship can be sustained without memories? Not much of a relationship. Think Groundhog Day, the movie, where Bill Murray is forced to re-live the same day over and over again. He remembers every day he re-lived while everyone else is living that same day for the very first time, every time! It’s a very lonely existence as he has to start his relationships over and over again without any growth retained beyond 24 hours. In a relationship of two people, both need to have memory to grow the relationship. A solid relationship foundation is built on memories. That’s why memory diseases like Alzheimer’s are so devastating. When one person loses the ability to remember, or worse, starts losing existing memories of their relationship with the other person, it is devastating. I have experienced the effects of this awful disease in my own life and it is truly devastating for all parties involved. Relationship and community is why we exist in the first place! God created us for relationships and community. This is how we glorify Him; through our relationships with Him and others. Can you imagine how hard it would be to try to fulfill our purpose without memories? That’s because memories connect us to each other. Memories are so important even our country has a day set aside for remembering: Memorial Day. On Memorial Day, we remember those men and women who gave their lives protecting our country and the rights we enjoy as free people. Christmas and Easter are set aside to remember the birth, death and resurrection of Jesus, who made the ultimate sacrifice for our freedom. Memories connect us by helping us to understand who we are. I think it’s important to understand your placement in history in the context of your family and your ancestors. Understanding your context brings clarity to who you are and how you came to be. I did a project in 10th grade on my family genealogy. The assignment was to do a family tree. My grandma gave me a lot of her family records which I still have to this day. When I completed the project it was a huge poster board. When I brought it into class, I was the only one holding a huge poster board. I stuck out. (What 10th grader wants to stick out? J ) Everybody else had one 8 ½ by 11 sheet of paper. Needless to say my teacher talked about my project till the end of that school year as he was so impressed with how much work I did. (Honestly, I did all that work because I thought that was the assignment!) 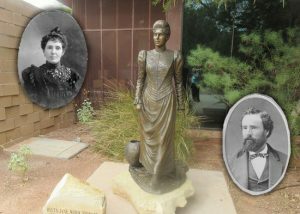 I gained a love for genealogy and family history through that project. When my mom’s cousin learned of what I did she sent me a huge genealogy record of our family. She gave me panels and panels of 8 ½ by 11 sheets of paper taped together to make up a poster bigger than a queen size sheet. Through this project I learned many stories about my ancestors; who they were, what their temperament was, the struggles they overcame, etc. It helped me understand where I came from and helped me to better understand who I was and gave me a sense of pride and belonging. This documentation of my family history brought me closer to those that had come before me, even those I had never met in person. It gave me a sense of security. (I’m currently in the process of documenting all those memories and will eventually put together a Heritage Makers storybook and include some old photos my aunt found). Memories connect us by deepening the existing bonds. When my parents’ 50th wedding anniversary was approaching, I was inspired by my 10th grade project to put together a Heritage Makers legacy storybook for my parents. It took me a year to gather all the stories and photos (I had to scan most of them as they were film photos) but it was the most rewarding storybook I have created to date. It was the story of their lives together. Watching my parents bond as they read the storybook together and re-lived all their memories together was priceless! My parents loved it and read it over and over again. I gave that storybook to each of my siblings as a Christmas present. 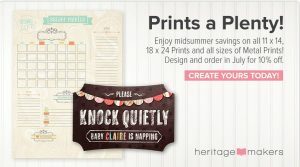 That’s the beauty of making a storybook in Heritage Makers; you can order multiple copies with no additional work other than to hit the button “add to cart!” Easy Peasy! When my mother passed away in January 2018, we had a picture table at her memorial with a lot of my mom’s pictures displayed and a slide show running on a loop, plus the 50th wedding anniversary storybook. When people walked over to the table the first thing most people did was to pick up that storybook and read through it. The slide show was nice but the storybook was tangible and could be picked up and read at ones’ own pace. And it contained the history and the memories in the form of written words that went along with the photos. The most compliments I received from the display were about the storybook. People loved looking through that beautiful Heritage Makers storybook. 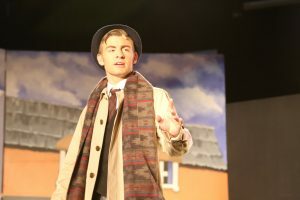 At my daughter’s school, we just completed our production of the musical “She Loves Me!” Among other duties, one of the items I am tasked with is to document the production through photos. I took photos at four dress rehearsals and printed 120 photos for display on opening night. I also had a slideshow. While the slideshow was enjoyed, those printed pictures received the most attention, especially among the teenagers in the cast. They just don’t see printed pictures like we did growing up! I assured them that they would be getting a link to all my pictures but they still competed for those printed versions! They wanted to hang them in their room to remember the special bonding that occurred during the preparations for the production. I suspect that a lot of those teenagers might not know how to even print the pictures by their reaction when I told them that they can just print more! My, how things have changed since I was younger! And it convinces me more that printed versions of our memories are more treasured and enjoyed then digital versions. Memories connect us by rekindling old bonds. When I was younger my cousins were my best friends. On both sides of my family were lots and lots of cousins. They were like my siblings. We have lots of pictures from different family trips and events. Growing up I took it all for granted. I thought everyone had this same experience. There was a time that we were all inseparable but as we grew up and started having children of our own, life got busy and the gatherings were less and less. Then my aunt died. We all gathered at her funeral and there were pictures displayed and a slideshow of a lot of our family gatherings. Seeing those photos again reconnected us and reminded us of our history together. It brought us all closer and we made a commitment to keep in touch. Seeing our memories in the form of photos together rekindled our bond. I only wished I had a hard copy of the slide show to take home so I could look at those slideshow pictures again. Then, two years later in November 2017, another aunt died. Then her husband, my dad’s brother, died a month and a half later. A week and a half after my uncle’s passing, my mom passed away. It was a tragic season of loss. What did we, my cousins and I, all do? We went through picture after picture after picture and gathered them all up and displayed them at each of the funeral services in the form of slideshows and framed photos and even some Heritage Makers storybooks. Why did we do that? 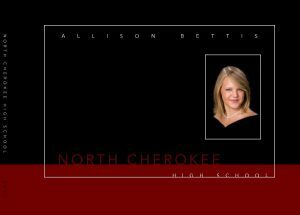 The funeral services were held to honor our loved ones’ lives and photos were a huge part of that goal. Those photos represented their beautiful lives. Those photos represented our memories, our history with our loved ones and each other and it connected us and it honored our loved ones. Those pictures represented the deep bonds our loved ones had cultivated and that we continue to enjoy today. Those are the bonds that contribute to our health and wellbeing and keep us mentally healthy. I am so very thankful that my mom and my aunts knew the importance of maintaining a photographic history. My mom and my aunts were good at keeping family albums and even writing on or near the photos. I am so thankful for the history and legacy they leave behind. Because they were so careful to record our photographic history, we have a legacy to pass on to the generations that follow us. If you don’t have this kind of history recorded in your own family I highly encourage you to start today. Future generations will be impacted by it and will be thankful for your efforts. Let Heritage Makers help you create a lasting legacy. 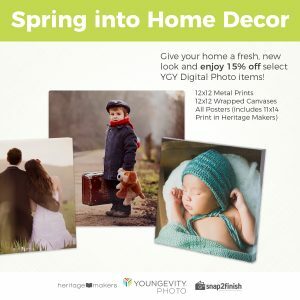 Start with your free Heritage Makers account today at www.heritagemakers.com/carolstewart. Sometimes our memories are not accurate It’s important to re-visit photos you may not have initially liked or may not have understood the importance of at the time. 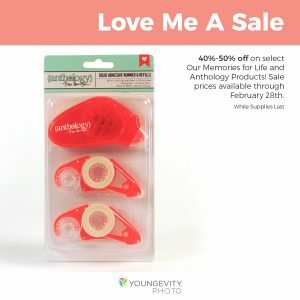 Different perspectives can change the recall experience of a photo, so going through old photos every few years can be helpful to your health and well being. Memories Connect Us: Memoires connect us by helping us to understand who we are, by deepening our bonds with others and by rekindling old bonds. Heritage Makers can help you stay connected to those memories with a beautiful storybook. 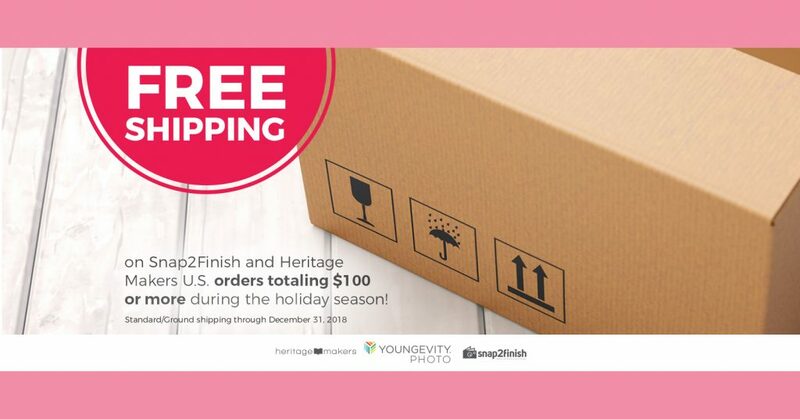 Start your connection today at www.heritagemakers.com/carolstewart . 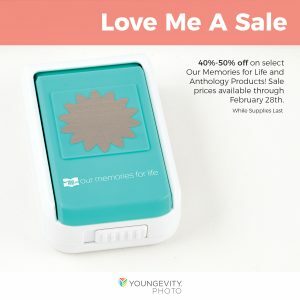 Record your memories in a Heritage Maker Storybook: Photos and the memories that go with those photos help facilitate retaining those memories and as a result, those relationships are deepened and grow. Photos and the memories that go with those photos help keep an accurate picture of our history. Memory isn’t always reliable so it’s important to record the memories as soon as possible for a more accurate history. 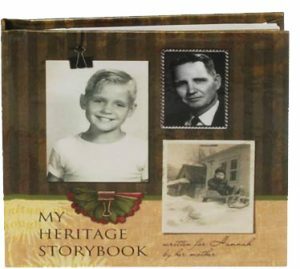 Once you have recorded your memories and created a beautiful Heritage Makers storybook, order one for yourself and gave away multiple copies as gifts! The boost in self-esteem you will have generated in the person who receives your lovely gift will be well worth the reasonable cost! Two + ways to store your memories: The beauty of publishing a storybook in Heritage Makers is that your photos are stored in your account and in your storybook which means that you have a backup copy online in your account and a beautiful hard copy in your hands. Win-win! And, if you want a third way, Heritage Makers offers a high quality Photosafe Archival Disc to store all your photos. It is a disc that will last over 100 years (compared to a normal disc which will only last about 5 years). 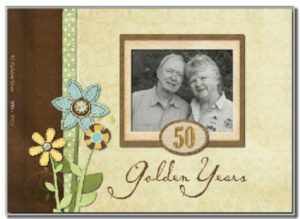 Heritage Makers Heirloom Assurance Program: Although the slideshows and digital display of photos are nice, they aren’t as fulfilling as a hard copy storybook in your hands! Hard copies of your family history are important for your health and wellbeing. Being able to pick up a hard copy of your family history is so rewarding and brings a sense of security and stability. It also guarantees your history will be passed on to generations to come. Not only can you order multiple copies of your storybook but Heritage Makers also has the Heirloom Assurance program. If any damage happens to your Heritage Makers storybook just order another one at half price! Quality: Heritage Makers is unsurpassed in quality. From the quality of their products to the quality of their image processing, you will not find another company that even comes close to Heritage Makers quality. 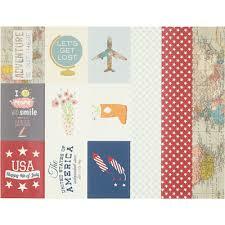 My memories deserve the best and Heritage Makers fits the bill! 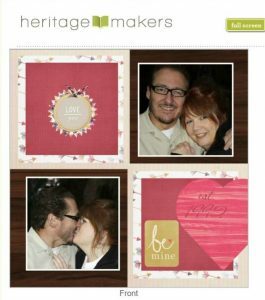 Art Selection & Templates: Heritage Makers is 100% customizable. You can create your own products from scratch or start with a template. 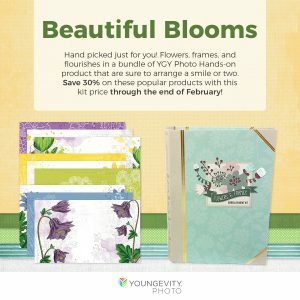 There are 1,000’s of artwork and templates to choose from. Studio online all the time: Heritage Makers is 100% on the go! No software to download. Everything is created online in Studio. No risk of losing your work due to your computer crashing. Work from anywhere you have a computer and internet. I apologize for the delay in informing you of this month’s specials (I will tell you in my next post). Every time I went to make a post, it didn’t feel right…it wasn’t time. Do I make a post about the specials without any mention of the beginning of the month’s horrific event? As if it didn’t happen? It didn’t seem right. I couldn’t do it. Every time I wrote a post I deleted it. 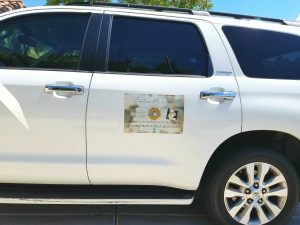 As you can imagine, we have been very busy these last two and a half weeks recovering from the aftermath of the evil that occurred on Oct. 1st here in the Vegas Valley, when a gunman open fired on a crowd of concert goers. It didn’t seem appropriate for me to make a post after the event without any acknowledgement of it as many of my friends and friends’ friends were affected, including a lot of you reading this post. I pray for the families still suffering, either with the ultimate loss or with injury recovery, both physically and mentally. I could tell you countless stories of those close to me that either have their own story of that night or are close to those who do. I have prayed with and for many victims of this hideous act. If you are friends with me on Facebook, then you may have seen my shares and posts on my private page as I have posted something about most of those stories. (As a side note, if you are a victim or know a victim, please contact me for free counseling resources as I have several referrals). One of the things I thought of in that first week was how important stories are. To have a storybook of the people you love in your hands is to bring back all those lovely memories in an instant – to remind you where you fit in this huge, sometimes evil, sometimes wonderful, world – to remind you of God’s love for His children – to remind you of who you love and who loves you – to remind you that you belong. I don’t mean to try to bring this event around and connect it with what I do. That’s not what I am meaning to convey at all. It’s just that when a tragedy of this magnitude hits so close to home, you think about your life, your legacy and your purpose. You think about how you spend your time –the very limited time here on earth that God has decreed with a start and end time. After the shooting, we all went into support and ministry mode. Our whole lives stopped to support and minister to all those around us who were/are hurting or who were/are helping the hurting, whether they were family, friends, or strangers. Purpose and meaning were big topics those first few weeks. I’m sure they will continue to be big topics. I’m clear on my purpose to glorify God and enjoy Him forever. I am not always clear on how best to spend my time doing that. And I think making assessments of your resource of time every once in a while is wise. Is spending my time making storybooks worthy of my limited resource of time? I started thinking about all of the unfinished storybooks I have either in my HM account or in my head! And it compelled me more and motivated me more to want to finish those storybooks. I could be gone tomorrow, only the Lord knows. But before that happens, I want to leave my kids with as much of their heritage as I possibly can. I want to leave them with pictures that they can see and touch and stories that they can read that go with those pictures; a heritage that they can physically pass on to their children and future generations. Is this worthy of my time to do? Last week my son, his girlfriend and 4 of their friends came to visit us from out of town (Yes, I have pictures!! Lol!). The women’s study I lead on Friday mornings was in the book of Deuteronomy. My group of women and I were beyond delighted that my son’s girlfriend and the other girls from out of town wanted to join us for our study. One of the girls mentioned how Deuteronomy states over and over again to “remember;” remember God’s laws and commandments. The word “Deuteronomy” itself means “Second Law” or “Spoken Twice.” God’s laws are mentioned again and again in the first five books of the Bible and we are told to remember them countless times. In Deuteronomy alone, the word “remember” occurs at least 16 times. God’s laws were repeated over and over again. Why? Because we forget so easily. We are led astray so easily. We need help to remember. It is for our good that we remember His commandments. And God is a gracious Heavenly Father and knows that we need reminding. My sister and I went on a trip down memory lane recently and visited an old neighborhood of ours and that of our grandparents. Things have changed drastically since we lived there over 40 years ago! We wanted to go visit our elementary school and we wanted to try to find it on our own from memory. There were two routes we used to walk. When I finally had to consult the GPS to get us there I realized that I had memories of both routes in my head that I had combined into one route. In other words, the memory I had in my head of what I thought to be the route I took as a child was in fact a combo of the two actual routes! I was shocked at how unreliable my memory was when matched up against reality! I need reminding! Remind, Remember. I want my kids to have an accurate memory of the rich heritage on both sides of their family. I want them to remember the story of their parents; of when we met and married and the details of when we encountered the Majestic and Wonderful Savior of the World, Jesus. (By the way, if you don’t know Him….please contact me ASAP and let’s chat!!! He is my favorite true story of all time to tell!!) I want my kids to remember the story of our conversion because I want them to understand and be grateful that their very existence is due to a God that intervenes; the ultimate Hero that seeks and saves the lost. I want my kids to remember vacations with their cousins and friends. I want them to remember everyday life in the community they grew up in. 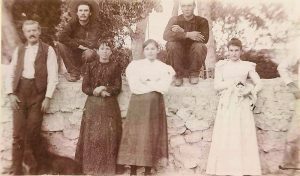 I want them to remember their family heritage that dates back to the 1880’s in their community here in the Vegas Valley. I want their children’s children to know that this community we call home, despite its outsider reputation, is a solid community made up many heroes as was demonstrated on the night of October 1st . And I want to record the stories before I forget the details because as I have learned my memory isn’t always accurate! My kids deserve to pass down all of these stories in a tangible way to their children. And the stories are worthy to be told. Granted, the time allocated to doing so should be balanced with all of my other responsibilities as a child of God, wife and mother. But it is, indeed, an endeavor worthy of my time and that worthiness should be reflected in my calendar of To-Do’s. It is an endeavor that does, indeed, bring glory to God. Because in the end the stories that I would and do write are a reflection of God’s goodness and a reminder of who God is and how He works in and through His people. What an encouragement that will be for future generations! And one of the things I love most about Heritage Makers storybooks is that they were designed to last….even out last me, my husband and my kids! When my kids were little, they used to ask me to make up stories. I would start my stories very dramatically to capture their interest. But soon they’d catch on and stop me with excitement and say, “Hey! That’s the story of me! That’s the story of when I was born!” Had I known about Heritage Makers when they were that young, I would have made them each a book about when they were born so that they could “read” along with the pictures of their infancy! Heritage Makers “Flip Books” are perfect for this very thing. The Flip Book is meant to endure little hands that might be tough on turning pages! See a sample here: Flip Book I still plan on making those storybooks and when I do, I’ll read them to their children! So, do you think your passion for memory-keeping is just a hobby? Do you think your desire to want to have heirloom quality storybooks of your family is just “an extra” that can wait? Think again! I have great news for you! Your passion and your desire for these storybooks are grounded in good reason; a sense of belonging, positive influence on self esteem, reduced stress, and increased happiness! Memory-keeping is worthy of your time! Whether you make the storybook yourself or have me do it for you, it is worthy of your time to plan for it and make it happen! And putting it on your calendar will actually help make it happen, that’s what I do! I have a regularly scheduled time that I sit down and work on my Heritage Makers projects. You have the story and Heritage Makers has the books. 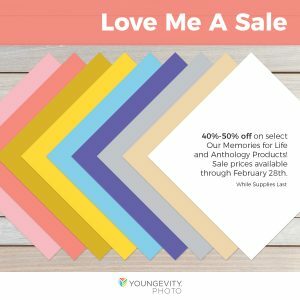 The good news is this month storybooks are on sale! I plan to finish up my son’s graduation book and then turn my attention to a storybook for my mother. I am making her a book of her grandchildren to take to her doctor appointments as sometimes the wait can be long! I’m also working on a surprise storybook that I will tell you about next month! What storybooks are you planning on making this month? I’d love to hear about them! May God bless you abundantly today and always! After a fun filled summer, the kids are back in school and we are all settling back into our school year routines. Facebook has been filled with first day of school photos and first day in college dorm photos. I have been enjoying each and every post! 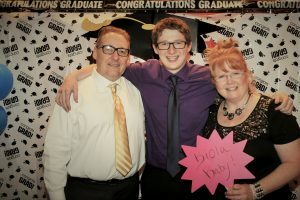 In June of 2016, my son graduated high school, so as my friends with college freshman this year have been posting their goodbye photos, it brought back all those feelings I had last August when we dropped our son off at college for the first time. It was such a great time filled with mixed feelings of sadness, happiness, and excitement for all that God had in store for all of us! It was a new beginning and a new chapter for all of us! It was also a wonderful time of reflection on the last 18 years! Every time I look at his high school graduation pictures or flip through some of our family storybooks, those feelings and memories come flooding back! I am so thankful I printed those pictures in the form of framed pictures, wrapped canvases and storybooks (that’s my son’s graduation book above, a work in progress. I blurred it on purpose for security reasons. It is an 8×8 storybook). Now I have a tangible memory I can hold in my hand and my heart! And I get to hold not just the photo, but the story that goes along with it. 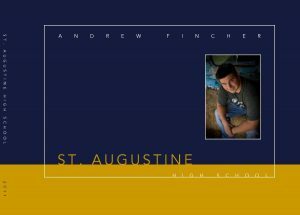 He was Salutatorian with his best friend and they gave a memorable speech which I recorded along with all the photos! It just makes me feel closer to my son even though he is far away. That’s the power of the published story. One of my favorite things about Heritage Makers is the ability to tell my story without limits. If I can dream it, I can print it. But I don’t always have the time to totally customize it myself. That’s why I am grateful for Heritage Makers extensive Template Gallery (click this button then look in the upper right hand corner for the template gallery linkTemplate Gallery). I can pick a template that has close to everything that I would include and then I can 100% adjust it to fit my vision! It saves me time but I still get what I want! I have done a lot of research and I have not found another company that offers the same quality, variety, value and service as Heritage Makers. As I look at my friends’ Facebook posts of first days and last days, I smile and feel the joy that they most assuredly must be feeling. I know most of those kids personally. Having been a part of our Theatre Department since its inception 10 years ago, most of those kids passed through my camera! I have hundreds of photos of them through the years. Ten years’ worth! (Yes, I have a storybook filled with them! Ha! And I gave three others as gifts!) 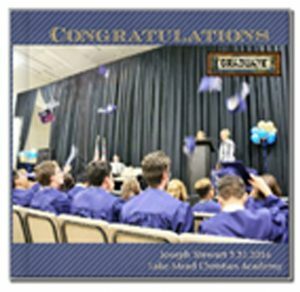 I also had the privilege of taking their pictures at their High School graduation ceremony this past June; before, during and after the ceremony. Because I know the power of a story, I can’t help and wonder are they recording the memory along with the photo? I really hope and pray they are. And if not, then I have a solution for them! In September, our storybooks are going on sale! Now is the perfect time to start constructing your story in the form of a beautiful storybook! If you have never done it before or it’s been a long time, you might be feeling a little overwhelmed. I have a solution for you (but you already knew that, huh?! 🙂 )! The easiest story to start with is the most current one. You just made all those posts on Facebook with words that represented your memories. The work is half way done already! Start there. Easy Peasy! “I regret making that storybook,” said no one EVER! Lol! 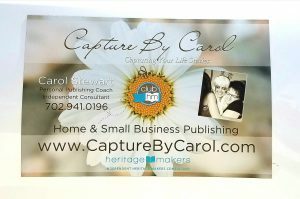 Let me help you CAPTURE your story today!! Contact me today! 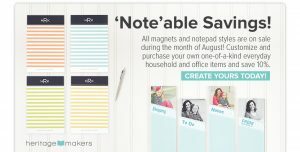 This month, in Heritage Makers Studio, magnets and note pads are on sale! I just made a big magnet for my car and I love it! 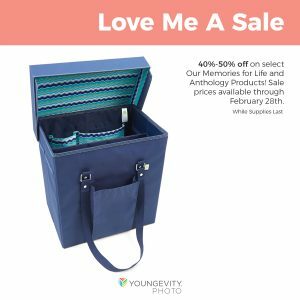 (See pictures) These sale items can be found under the product tab “Home and Office.” Go here and click on the product of your choice and then take a look at the fabulous templates available or come up with your own design! I plan to take the 5.5 x 8.5 notes pads and make a daily, weekly and monthly planner and a meal plan out the 4 pad set! I also wanted to let you know so that you can plan, that in September, storybooks will go on sale! Now is the perfect time to start creating your first or next storybook! Or, hire me, your personal Story Maker, and I’ll create it for you! The way these cute little blocks work is that each season (or whenever you want), you change out the easy peel stickers for other stickers in the kit or a different kit. Learn more here.